Dianne Feinstein is an American politician, famous for being the first in various offices. She became the first San Francisco Board of Supervisors female president, the first woman assigned as Mayor of San Francisco and the longest-tenured woman to have chaired the U.S. Senate. One might feel free to contact her any time and touch the living history lightly, that doesn’t even think of retiring. Dianne Emiel Goldman was born on the 22nd of June, 1933 in San Francisco, where she would have worked for all her life. Her mother’s name was Betty Rosenburg, whose parents moved to California from Saint-Petersburg, Russia, right after the October revolution. They were German-Jewish, but their official religion during the Russian period was the Russian Orthodox faith. It was necessary at those times. Betty tried herself out in modeling but soon gave it up. 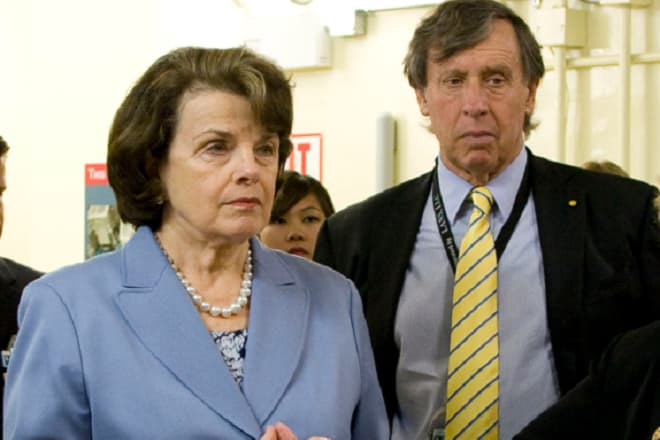 Feinstein’s father, Leon Goldman, was a son of Polish immigrants, who were Jewish too. Goldman was a qualified surgeon and continued his practice in San Francisco. 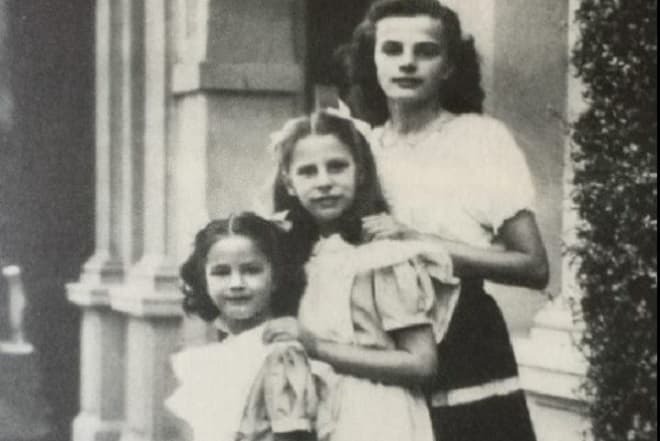 Dianne was studying in both a Catholic independent high school, Convent of the Sacred Heart High School, and a Jewish one. As a young girl, she underwent a required Confirmation. She was around 16 years when her primary interest in politics started showing. Dianne continued with its development and pushed forward some initiatives in the students’ government at Stanford University. In 1955 she graduated with a BA in History. 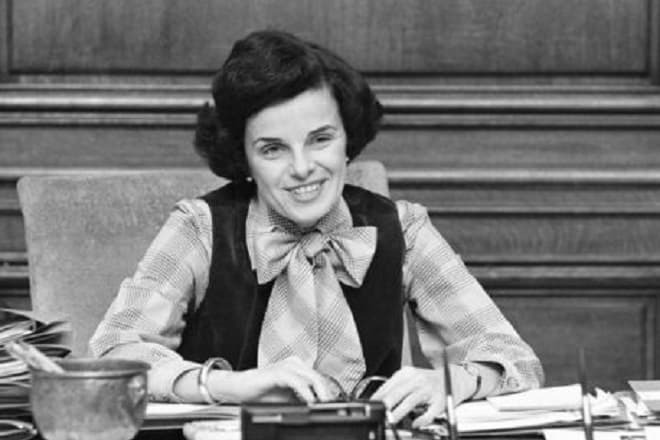 In the 1960s, Feinstein served in San Francisco city government, including the California Women's Parole Board. Although the future senator didn’t have a required qualification such as judge or criminologist one, she was appointed there by a respectable person - California Governor Pat Brown. In 1968 she joined San Francisco Committee on Crime. Feinstein became a member of the San Francisco Board of Supervisors and her tenure there lasted for nine years. During such a long time she strived for the position of the mayor of San Francisco twice, but it was in vain. All she could and had to do was to continue doing a great job on the Board, which was noticed, and Feinstein got a promotion in 1978 as a newly chosen president of the Board. Perhaps it was some larger plan, but eventually, she became the Mayor of San Fransisco after her predecessor, George Moscone, and his supervisor Harvey Milk were assassinated by a cruel ex-politician Dan White. It was Dianne who discovered the bodies and revealed the murder to the public. While she was a member of the Board underwent an unsuccessful attack from the New World Liberation Front, which terrorized California at that time. Luckily, the bomb, which was put at Feinstein’s windows, didn’t explode. Feinstein finished the Moscone’s term and served her own two terms until 1988. Her greatest achievement was the reparation of the famous San Fransisco cable car system, which was in dying need of rebuilding for some time. She competed for federal funding and finally obtained the sum that was supposed to cover the whole work. The project was carried out in just two years, and the renovated system was a feast to the eyes during the 1984 Democratic National Convention held in San Francisco. 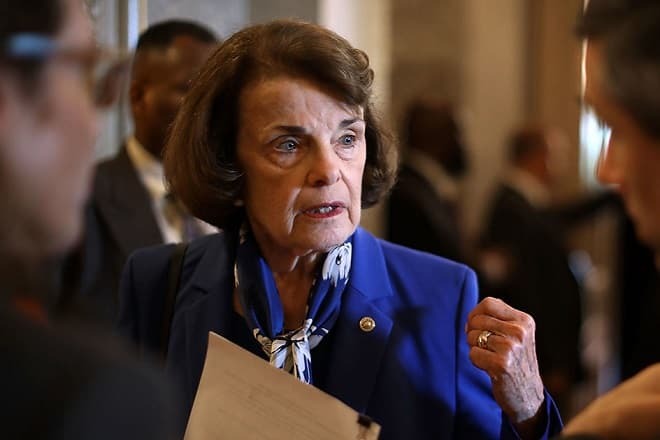 Later she was accused of insufficient tolerance in the most liberal city in the U.S. Feinstein was against taking part in gay rights parade and even canceled domestic partner legislation. In 1984 she made a try of banning handguns in the city, but only angered the masses. 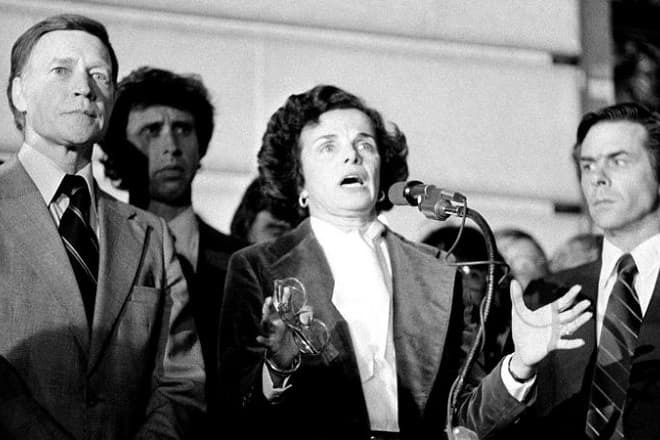 Feinstein represented the Democratic Party on the 1990 California gubernatorial election but was behind the polls, and a Republican delegate, Pete Wilson, was appointed as a governor. Feinstein started her Senate career in a sudden: a vacant seat occurred due to the resign of Pete Wilson. She pulled herself together after the loss in a ran for the California governorship and took part in the special election. In November 1992 different elections were held such as for U.S. President and other institutions, so it was the time to choose a senator from California. Barbara Boxer won the contest and was getting ready to accept the position after the expiration of Alan Cranston’s, who was a senator previously, term. However, this was supposed to happen in January, when Feinstein’s chairmanship entered the force at once in November. This is how Dianne Feinstein became the senior senator from California. A couple of records were achieved: for the first time in the U.S. history a pair of two female senators were delegated from any state, and the first Jewish woman held the chair in the Senate. Feinstein was re-elected five times; the last ran was in 2018 and might be considered as an unsure one. She wasn’t favored by the California Democratic Party's executive board anymore, but kept the endorsements of citizens and secured her position as the longest-tenured woman in the Senate. The Party preferred supporting Kevin de León, but even this didn’t help him to beat Feinstein. 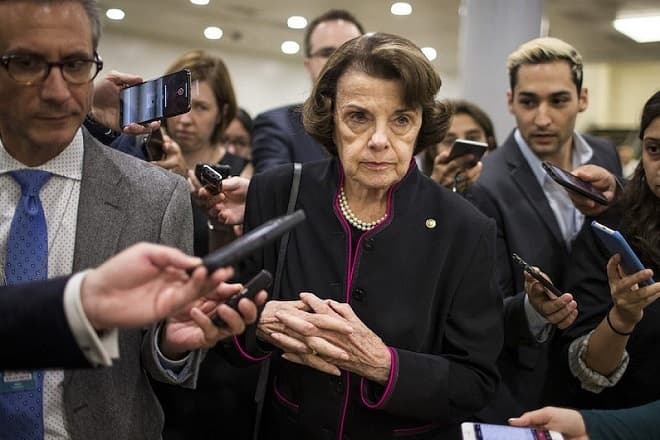 Dianne Feinstein was, and still is, a member of numerous committees, including the one on Rules and Administration, the Committee on the Judiciary, and the one on Appropriations. Feinstein is a member of the Democratic Party and is considered to be a centrist. Her primary fields of work in the Senate are drug trafficking and gun control. She also reviewed the Supreme Court candidates a lot, including the still up-to-date incident with Brett Kavanaugh. It was Dianne Feinstein who received the letter from Christine Blasey Ford and kept it as a secret. However, she had to emerge from the shadows when the Kavanaugh situation turned out to be very notorious. The other strange that mentioned Feinstein occurred in the summer of 2018. The member of her own office was uncovered as a Chinese spy. But the Internet inevitably quotes that the senator was aware of his double life for a long time. A so-called spy was asked to retire, and this was all his punishment. 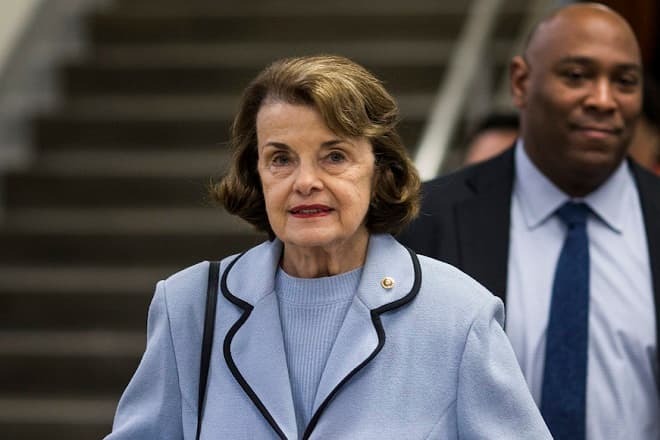 Feinstein was one of few people, including a fired FBI director James Comey, who wanted to reveal the truth whether Russia was involved in the 2016 United States presidential election or not. 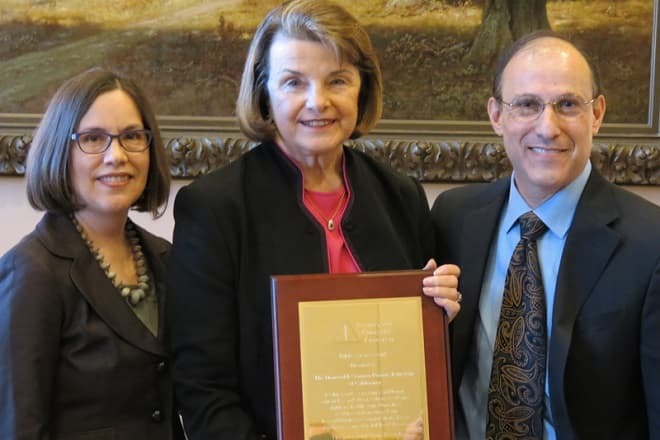 Feinstein met her first husband, Jack Berman, on her workplace, since he was assigned to San Francisco District Attorney's Office. They had a wedding in 1956, but quite soon after that, a couple got a divorce. Jack and Dianne had a daughter named Katherine, who followed in her parents’ footsteps and became a judge. Then she fell in love with a man, who had no connection with public service but was a neurosurgeon. Bertram Feinstein and Dianne got married in 1962, yet she lost him due to his death in 1978. Two years later an investment banker Richard C. Blum became Feinstein’s spouse, and this union made her the fifth-wealthiest senator of the U.S. However, they keep their assets clearly separated and don’t lay claim on the partner’s belongings. Feinstein gained some decent recognition from several institutions. In 1977 she became the Doctor of Laws Honoris Causa in Golden Gate University in her native city. She was also noticed and awarded with the National Order of the Legion of Honour, the highest mark a civil or military servant may achieve. 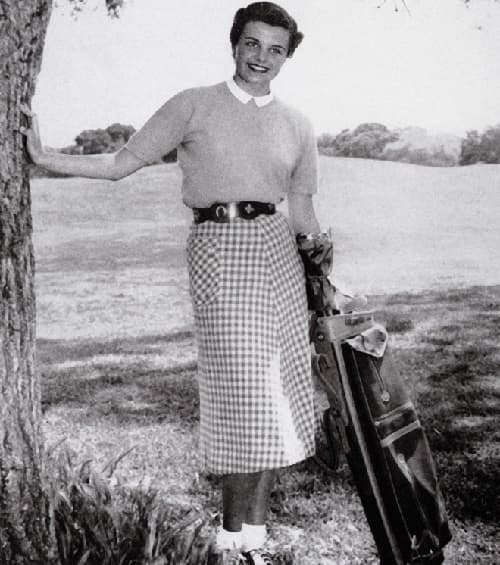 The Californian wonder-woman holds the Woodrow Wilson Award and the Nathan Davis Award too and is considered to be one of the most influential Jewish-American in the U.S. Dianne Feinstein's estimated $94 million net worth.